Did you know that it’s Nation Pizza Month?!? Now that’s my kind of month! We have a family tradition of Friday night pizza & movie night, so pizza shows up on the menu pretty frequently. We tend to rotate between our favorite pizza chains, homemade, and frozen pizzas depending on how crazy our week has been and how much we’ve been eating out. This one was a little different. 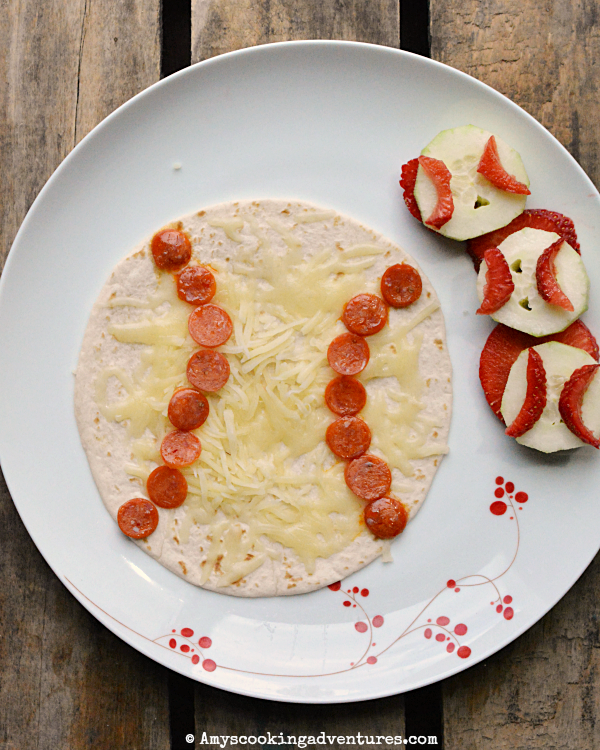 This was a lunch I made for Spud because he loves baseball so much! Since it’s the World Series, I made a fun little tortilla pizza – you could add sauce if you’d like, but I didn’t in this instance. So if you’re looking for a fun World Series appetizer, or you just have a little baseball fan, give these little pizzas a try! Check out the rest of these amzing Pizza Month recipes! Sprinkle the cheese over the tortilla. 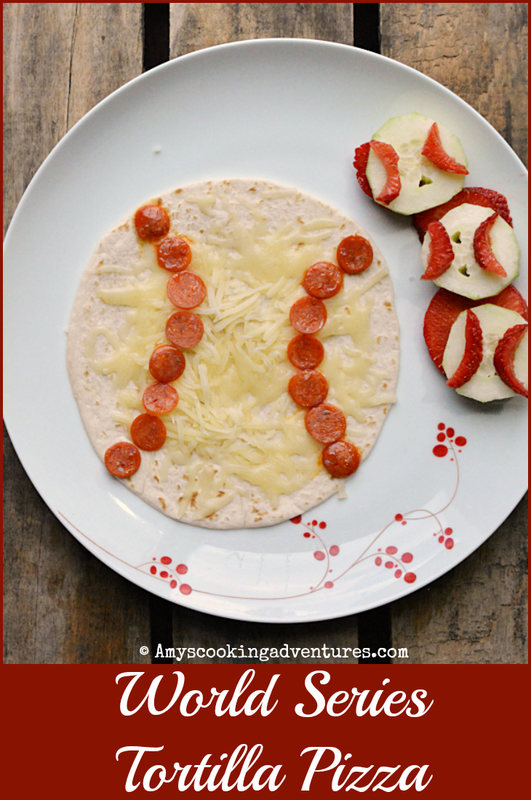 Add the pepperoni to look like baseball stitches. Microwave for 25 seconds or until the cheese is melted. Serve. Adorable Amy, I'm so glad you could join us. Thanks for joining us! 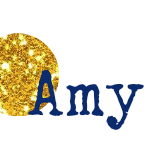 These are so cute, Amy...and easy. I love it. This is so cute!! Go Dodgers! !